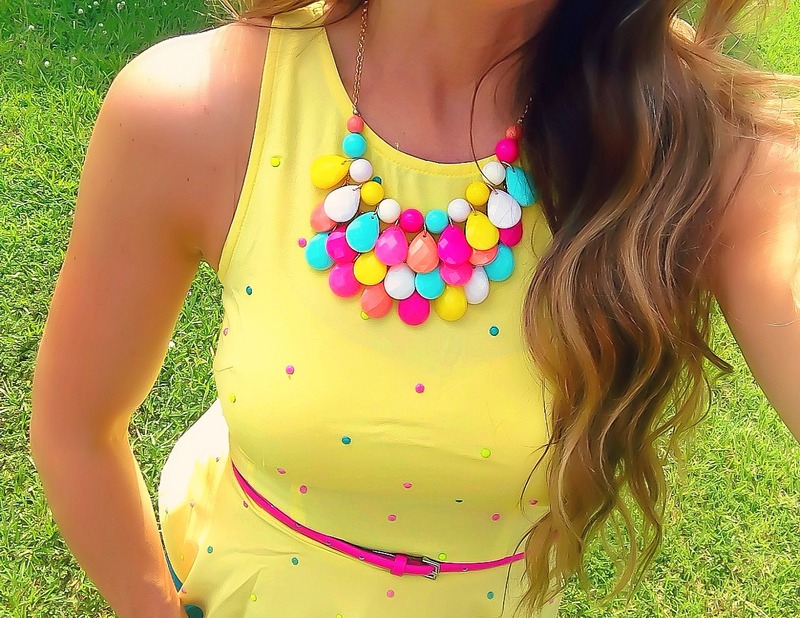 I can never get enough of bright hues, especially during the summer months! This sunny yellow peplum top from The Retail Therapist definitely screams “summer is here!”. The little polka dots remind me of those little candy dots on the roll that I use to eat by the truckload. So much fun and such a flattering fit! I paired it with a pair of bright blue Banana Republic shorts that I originally didn’t think would be very versatile, but I’ve been surprised at how much wear I’ve been able to get out of them. A staple in my closet for sure. Finishing off the look, a colorful statement necklace and skinny belt. Also, I realized ten photos in that Sparkle Nicole’s tulle hair bows were the perfect little hair accessories for it! They are the ultimate in girly dressing and I’ve got a few other ideas up my sleeve about styling them in the coming weeks! Also, don’t forget about our giveaway going on now over on Instagram that started yesterday! 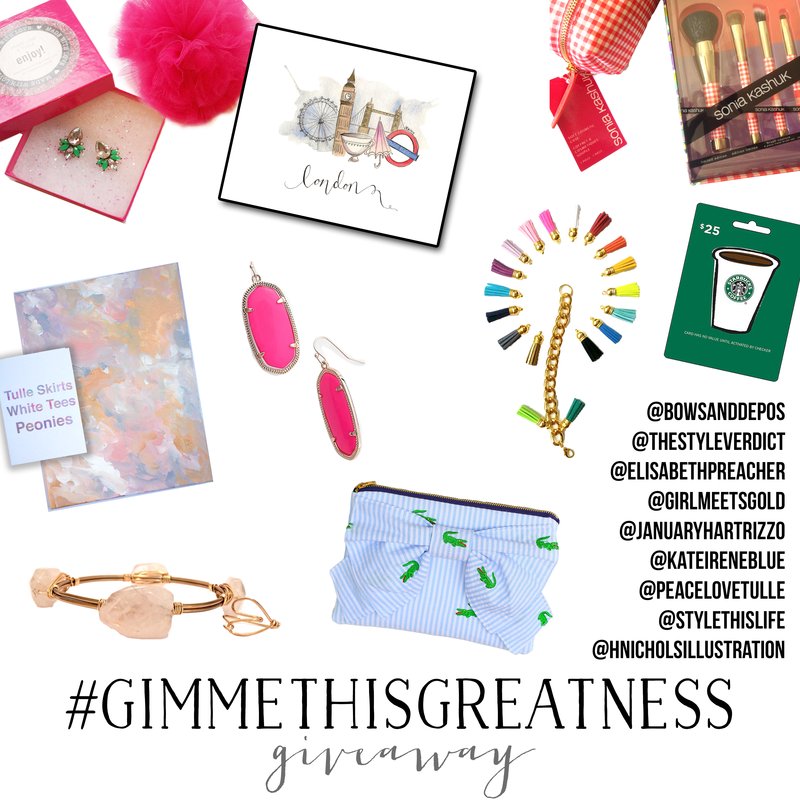 Lots of amazing goodies in this one! Have a great day, friends! I have some more great pieces to share with you in tomorrow’s post that I hope you love as much as I do! Previous Post Retail Therapy at its very best! 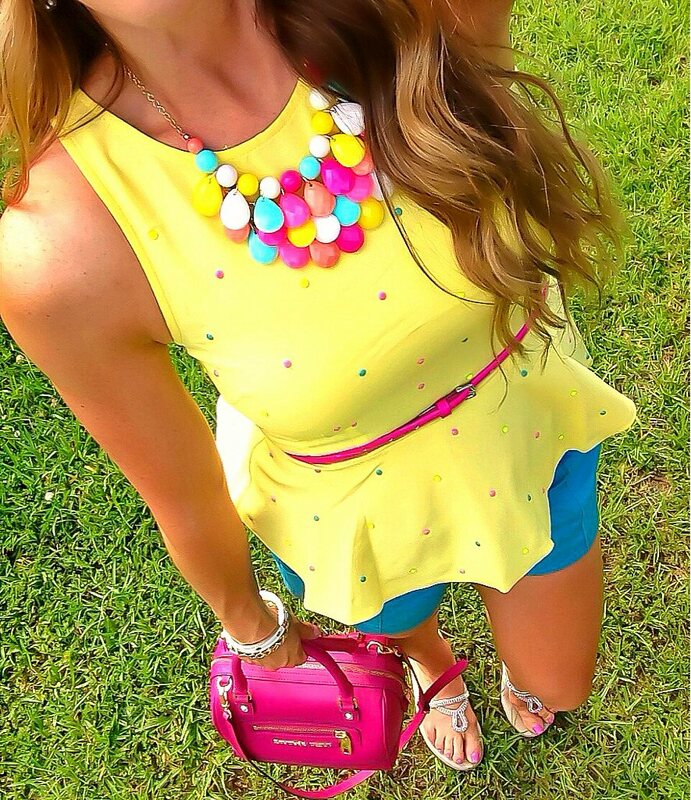 Love that bright top, so pretty on you!